Blue Mountains: A true food destination? Entrees are served at FEAST Blue Mountains. 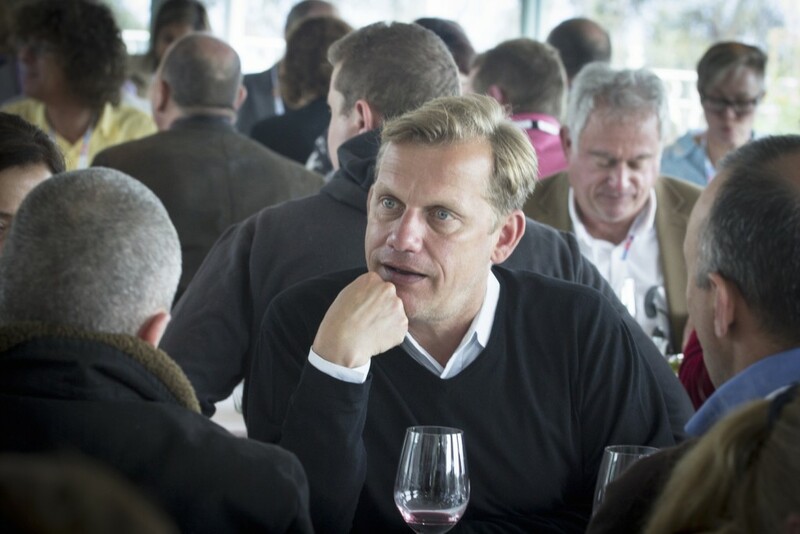 What will it take to transform the Blue Mountains into a culinary destination? 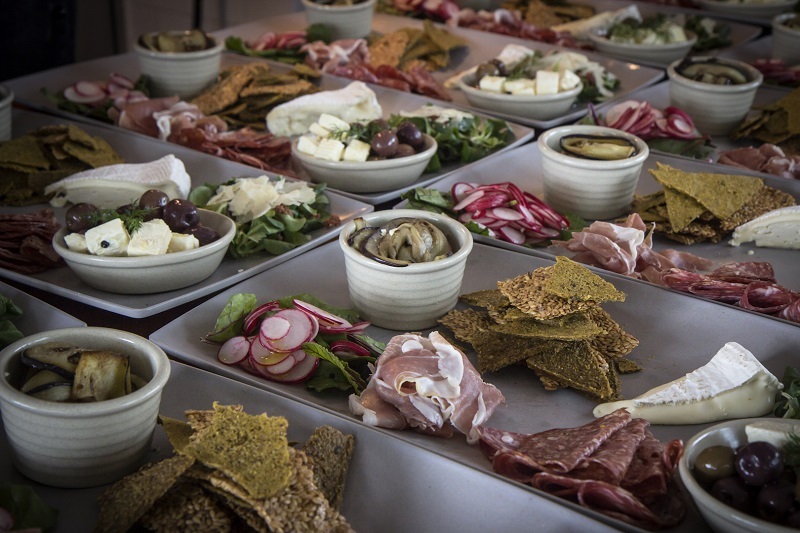 A group of local and well-known foodies recently pondered the future of food in the Blue Mountains over some top-notch local nosh. Last week local restaurant owners, food producers and food enthusiasts gathered to hear industry experts talk about their culinary passions at FEAST Blue Mountains, an event run by the Blue Mountains Economic Enterprise and The Local Food Industry Development Project as part of Good Food Month. Held at The Lookout, Echo Point, FEAST aimed to get people excited about the future of the local food industry. 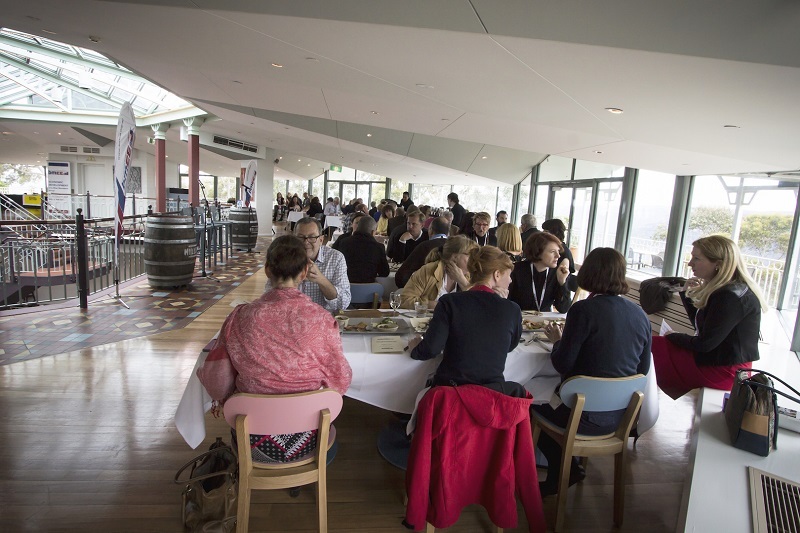 Food for thought… local and famous foodies lunch at The Lookout, Echo Point, for FEAST Blue Mountains. Among the speakers were chefs Martin Boetz (ex-Longrain) and Simon Bryant (ABC’s The Cook and the Chef), Tawnya Bahr from food tour company Straight to the Source, and journalist-turned-balcony-gardener Indira Naidoo, all who talked about there own food ventures and what they’ve learnt along the way. What will it take to transform the Blue Mountains into a true food destination? As a food writer with a finger in the local hospitality industry myself, I was (and am) interested to know the answer just as much as anyone. In the year ending June 2015 the Blue Mountains received 849,000 overnight domestic visitors, 99,500 international overnight visitors and 2.5 million domestic day-trip visitors. Currently the Blue Mountains is ranked as the No. 2 travel destination in NSW behind the Hunter Valley. In short: it’s a tourism hot spot. But when you hear that one of the highest priorities for tourists is food and wine, and that the most popular activity undertaken by visitors to the Blue Mountains is to “dine at a restaurant or café” – ahead of bushwalking – you’ve got to wonder: Sure, we’ve got the best natural attractions going around, but is the Blue Mountains doing enough when it comes to food? Are our cafes and restaurants doing as much as they could be to attract and retain tourists and other visitors? What needs to change to make that happen? Opportunity: They need to spot opportunities that even just one ingredient can create, such as the humble truffle. Innovation: Generating events, dishes, menus around that ingredient or idea, which then creates interest and buzz. Commitment: Bahr spoke of one truffle mushroom farmer who had to wait five years for his first yield of mushrooms – but the payoff was considerable. Collaboration: Getting behind the idea as a community and working together to create innovations around the idea. “It’s a matter of making a plan and letting the world know what you have,” was Bahr’s message. Bryant said one way to lift the food experience for visitors is to ignore food ‘trends’ and focus on providing fresh, seasonal and local produce where possible. “Good, honest, simple food with integrity on every level will never go out of fashion,” he said. It’s all in the story… Cook’s Co-op founder and owner, Martin Boetz. Boetz, who supplies Sydney restaurants with local produce through his business The Cook’s Co-op in Sackville on the Hawkesbury River, added that Blue Mountains cafes and restaurants should concentrate on telling the stories behind the food. “People don’t care about whether it’s organic or not, people care about the story,” he said. Where do the ingredients come from? Who produced it? How do they care for their animals and gardens? The takeaway message from the day was this: Helping diners make the connection between what they’re eating or drinking and where it’s from will not only enhance the dining experience but the overall experience of visiting the Blue Mountains – etching it into their memory, encouraging positive word-of-mouth about their time spent here and – as is the hope – keep visitors coming back. As a resident, a visitor or someone in the local food industry: what do you think the Blue Mountains needs to become a true food destination?